Here comes the new and long awaited release of Neuropipes, the progressive side project of the better known psytrance act Shekinah. The brasilian talent comes with a psychedelic bomb. 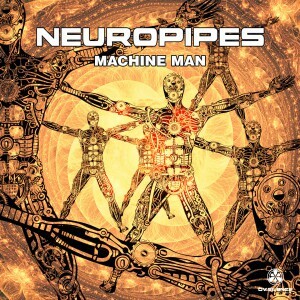 “Neuropipes – Machine Man EP” contains three fresh and funky, progressive trance tracks. All tracks produced and mastered at the ov-silence Studio in Hamburg, Germany. Hear, love and buy it! Posted in All Releases, New Releases.Tagged Artists, Music, Neuropipes, Release, Summer Closing.